Woven fabric labels are not just look good; they should be a soft fabric label it’s breathable and soft; they should last for a lifetime. We produce all kinds of woven fabric labels in various different styles; you can have labels made in any sizes, shapes, colours. 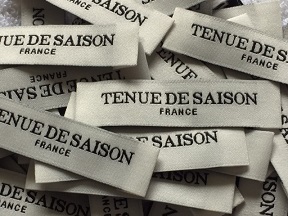 All woven labels are made of the finest soft threads to enable a detailed definition weaving. 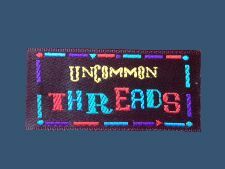 Are you looking for an idea to start and design your custom woven label? We have an art design team to help offer expertise in label design; once you are happy with the design in the artwork, our production team will take over and tur it into the perfect brand woven label for your clothing line. Contact us today, we will offer you helpful tips on how to create the perfect personalised fabric label for your fashion clothes business. Perfect-Labels- Lanyards is a well-established woven labels supplier in the UK for more than 15 years; we have a long-term cooperative relationship with many well-known fashion brand owners in Europe. We are able to produce professional brand fabric labels for all fashion industry, fashion start-ups, tailors, designers, and for your handmade items. We offer short run custom labels production; Contact us today to start customising your brand label; we offer super labels quality, competitive price, and free UK delivery.